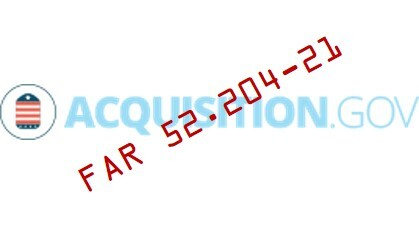 If you are new to Federal Acquisition Regulation (FAR) 52.204-21, it is a contract clause (52.204-21) to the FAR “for the basic safeguarding of contractor information systems that process, store, or transmit Federal contract information." FAR 52.204-21 imposes a set of fifteen (15) basic cybersecurity controls for contractor information systems upon which “Federal contract information” is stored, processed or transmitted. Federal contract information is defined as information provided by or generated for the Government under a contract to develop or deliver a product or service for the US Government. It is important to know that these requirements are expected to change shortly. In the end, this means that complying with the US Government's cybersecurity requirements is more than just the 15 basic controls currently listed in FAR 52.204-21. NIST 800-171 is already a requirement for DoD contractors and is expected to be a requirement for all US Government contractors within the next few years, so it is better to spend your efforts and resources on addressing NIST 800-171 requirements to stay ahead of your competitors. 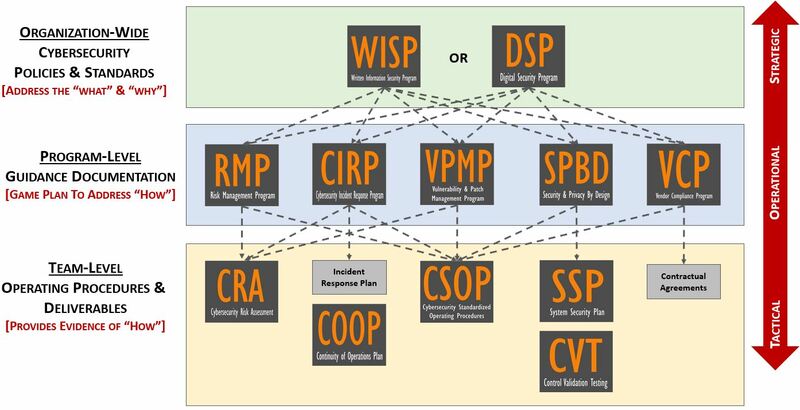 FAR vs DFARS - ISO 27002, NIST Cybersecurity Framework or NIST 800-53 Frameworks - What Is The Best Approach? The bottom line is that utilizing the NIST Cybersecurity Framework or ISO 27001/27002 as a security framework does not directly meet the requirements of NIST 800-171. 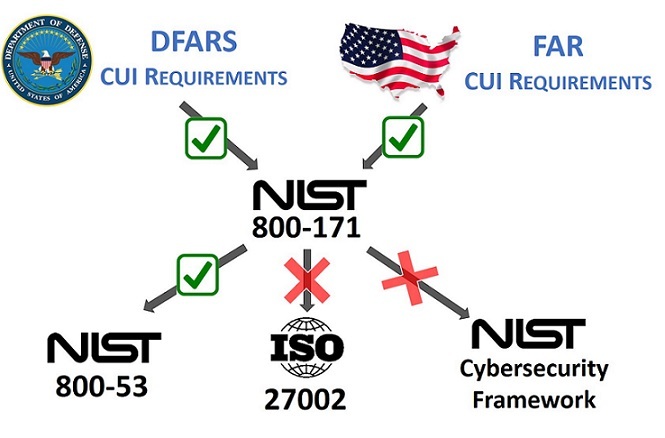 In fact, NIST 800-171 (Appendix D) maps out how the CUI security requirements of NIST 800-171 relate to NIST 800-53 and ISO 27001/27002 security controls. This includes callouts where the ISO 27001/27002 framework does not fully satisfy the requirements of NIST 800-171. 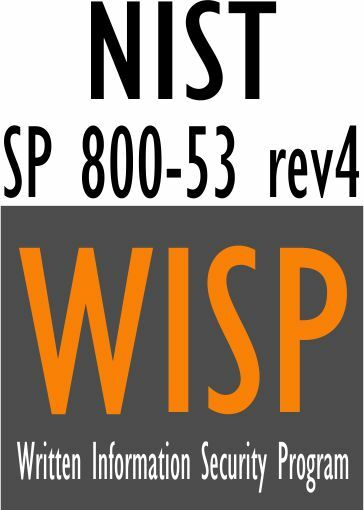 Essentially, this means that only the NIST 800-53 framework is going to meet FAR requirements of NIST 800171 - ISO 27002 and the NIST Cybersecurity Framework are going to be insufficient in coverage. Contract Termination. It is reasonably expected that the U.S. Government will terminate contracts with prime contractors over non-compliance with FAR requirements since it is a failure to uphold contract requirements. Subcontractor non-compliance will cause a prime contractor to be non-compliant, as a whole. Criminal Fraud. If a company states it is compliant when it knowingly is not compliant, that is misrepresentation of material facts. This is a criminal act that is defined as any act intended to deceive through a false representation of some fact, resulting in the legal detriment of the person who relies upon the false information. Breach of Contract Lawsuits. Both prime contractors and subcontractors could be exposed legally. A tort is a civil breach committed against another in which the injured party can sue for damages. The likely scenario for a FAR-related tort would be around negligence on behalf of the accused party by not maintaining a specific code of conduct (e.g., FAR cybersecurity controls). ComplianceForge is a niche cybersecurity company that specializes in compliance-related documentation. We are a leading provider for FAR 52.204-21 compliance documentation, where we serve clients from small businesses through the Fortune 500 with our FAR 52.204-21 compliance products. Lack of In House Security Experience - Writing security documentation is a skill that many good cybersecurity professionals simple are not proficient at and avoid the task at all cost. Tasking your security analysts and engineers to write comprehensive FAR 52.204-21 compliance documentation means you are actively taking them away from protecting and defending your network, which is not a wise use of their time. ComplianceForge offers FAR 52.204-21 documentation solutions that can save your organization significant time and money! Compliance Requirements - The reality of non-compliance with FAR 52.204-21 requirements means lost business and potential fines. In addition to losing contracts, charges of fraud may be leveled on companies that claim to be compliant with FAR 52.204-21 but cannot provide evidence. Our documentation can help you become and stay compliant with FAR 52.204-21 where you have documented evidence to prove it! Clear Documentation - In an audit, clear and concise documentation is half the battle. ComplianceForge provides comprehensive documentation that can prove your FAR 52.204-21 compliant security program exists. This equates to a time saving of hundreds of hours and tens of thousands of dollars in staff and consultant expenses! Implement sub networks for publicly accessible system components that are physically or logically separated from internal networks. Perform periodic scans of the information system and real-time scans of files from scans of files from external sources as files are downloaded, opened, or executed. Is Your Organization "Audit Ready" for FAR 52.204-21? When you "peel back the onion" and prepare for a FAR 52.204-21 audit, there is a need to address "the how" for certain topics. While policies and standards are designed to describe WHY something is required and WHAT needs to be done, many companies fail to create documentation to address HOW it gets done. We did the heavy lifting and created several program-level documents to address this need and they integrate with either the Written Information Security Program (WISP) or Digital Security Program (DSP) to provide your organization with a set of robust documentation to prepare for your audit. One thing to keep in mind is that while the current requirements are quite basic, there is a a pending change with FAR to compel all US government contractors, not just DoD contractors, to comply with NIST 800-171.